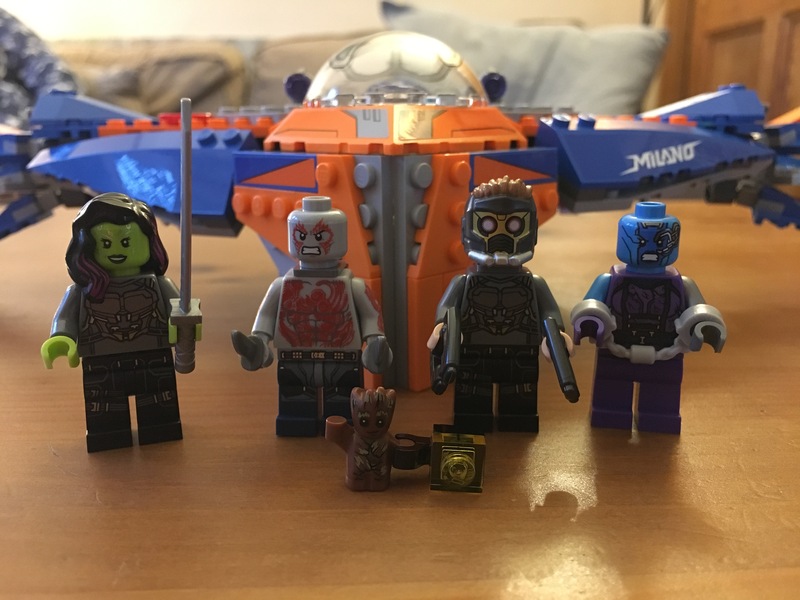 Well, after an epic few sessions of Lego building, where we reviewed the Guardians of the Galaxy Vol 2 Lego sets “Ravager Attack” and “Ayesha’s Revenge“, we finally come to the grand finale – the biggest set of the bunch. 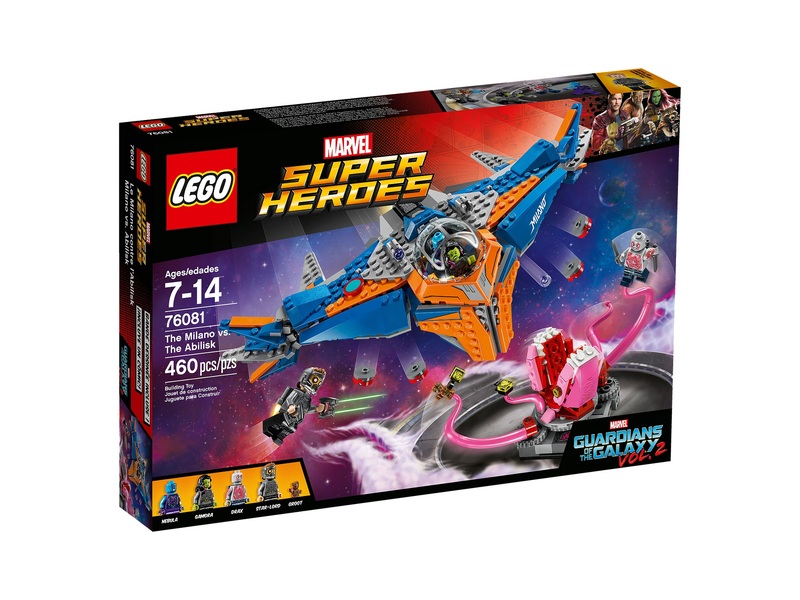 In case you aren’t familiar with the Guardians of the Galaxy films, the “Milano” is our hero, Star-Lord’s ship – named after 90s acting heroin Alyssa Milano, apparently. The details of the Abilisk are less clear (since the film isn’t out yet) but it features heavily in the film’s trailer (watch it here), so we can assume it’s an important plot point. Having asked Freddie to build (and review) the smallest model, and having given Robert the task of the middle one, it seemed only fair that I take on the big one myself. Not that it’s a “grown-up” model by any stretch of the imagination, but simply because I am selfish and childish and was getting jealous. Whilst this 37 year old found it fairly straight forward, I’d say it was definitely the most complex of the bunch – several fiddly joints and a few slightly confusing instructions meant I even struggled a few times – but it’s nothing that a child with a bit of adult help couldn’t overcome. 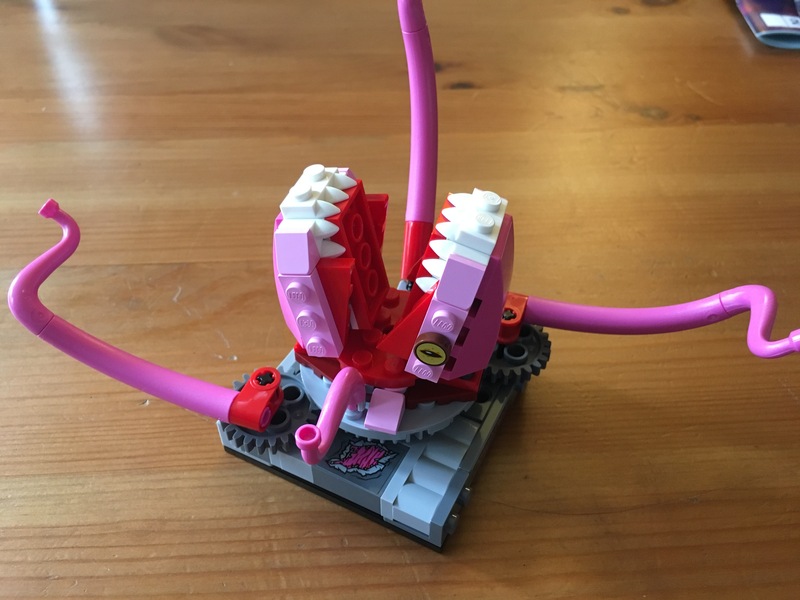 The two models it contains are both beautifully designed – the Abilisk contains fantastic waving tentacles, which you move by rotating the base. 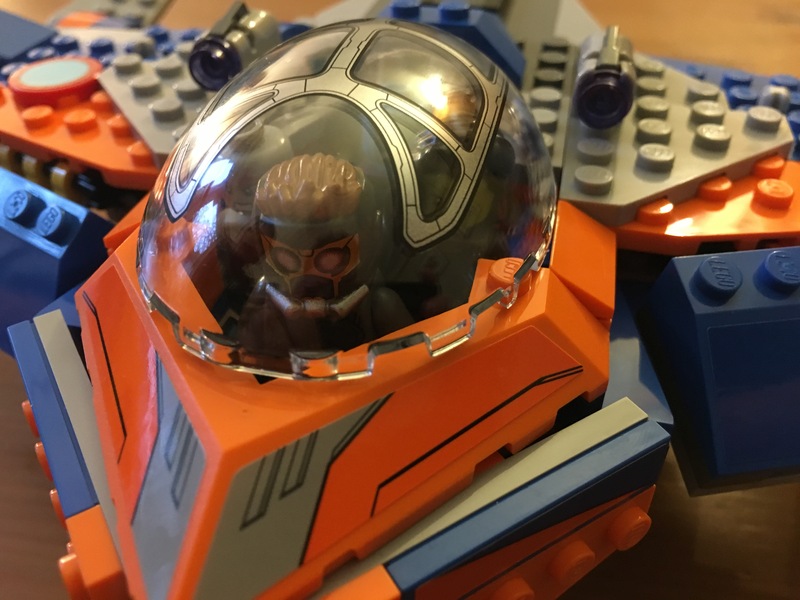 The Milano has enough room in the cockpit to fit 4 minifigures – though you’ll need to remove their accessories before trying. The wings are also a work of brick-art. 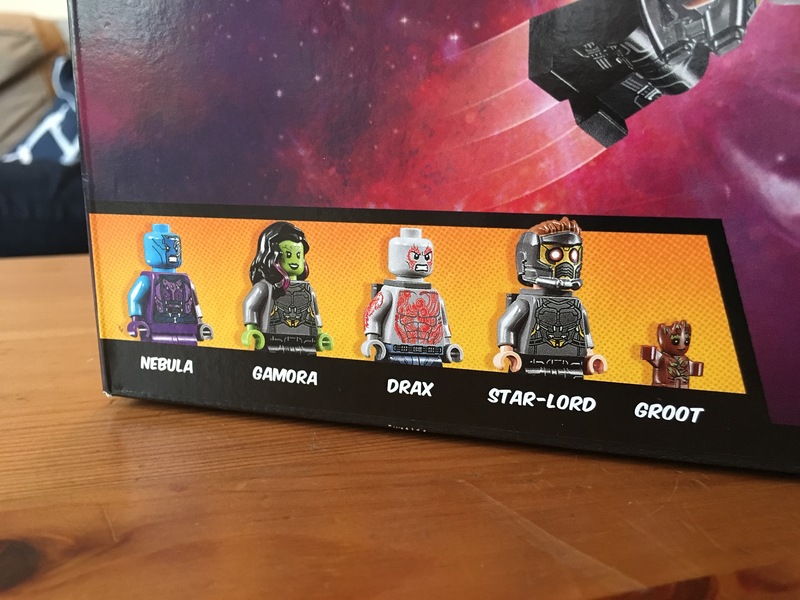 It’s fantastic having such details minifigures in a set like this – my favourite is Star-Lord with his space helmet, but the Nebula figure is also a beaut. As with the two other sets, I’m really impressed at the level of detail that has gone into these sets – from the amazing likeness of the figures to the details on the ship. They’re definitely going to be staying on our “cool models” shelf for a while to come yet. his lot looks Awesome. 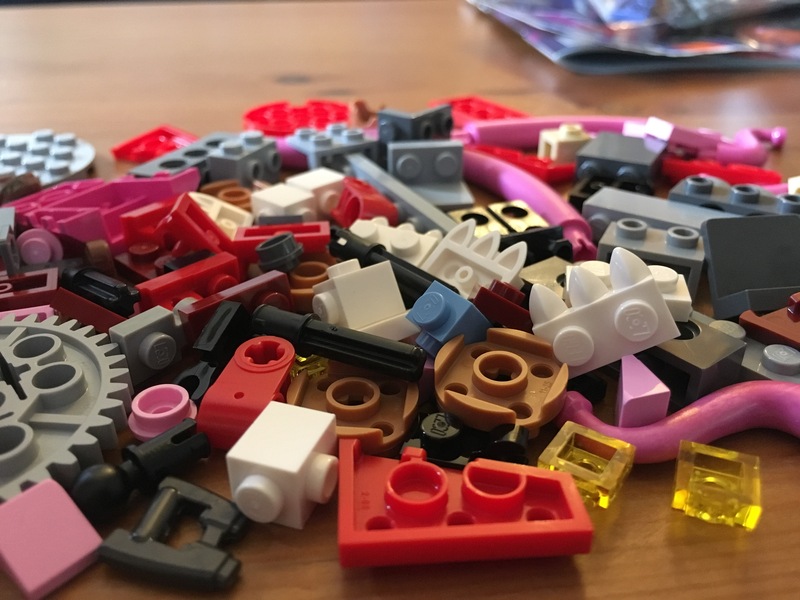 In fact, you’re reminded me we have an unopened box of LEGO that we need to bust open and get building.